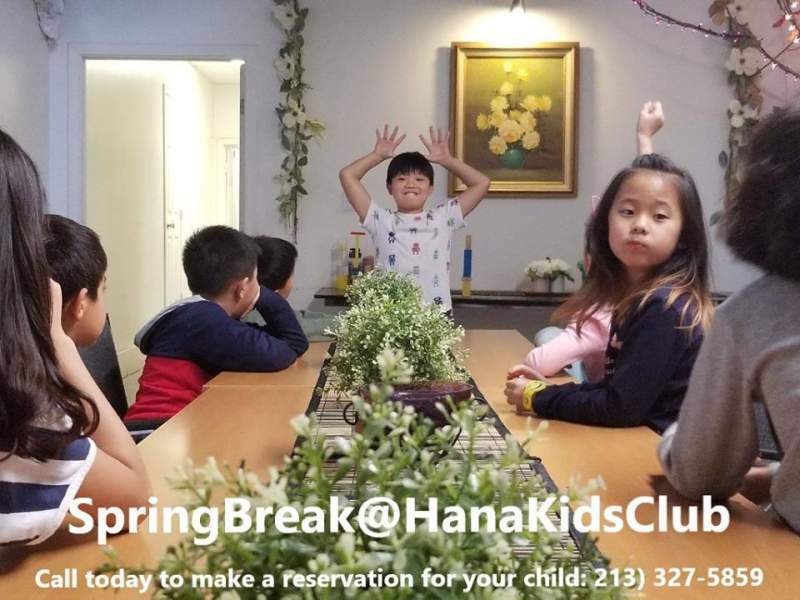 Hana Kids Club is a new afterschool program where kids can relax, do homework, read books, have snacks, and play in a safe and educational setting. We'll be open 8 a.m. - 6 p.m. during the Spring Break (4/15-19). Daily fee is $30 which includes all the activity supplies, lunch, snacks. and lots of educational fun! For more information and reservation, send us a message or call today. 봄방학 기간동안 오전부터 오픈합니다. 키즈클럽 이용을 원하시면 연락주시기 바랍니다.